Alexis de Tocqueville was among the first to draw attention to Americans’ propensity to form voluntary associations—and to join them with a fervor and frequency unmatched anywhere in the world. 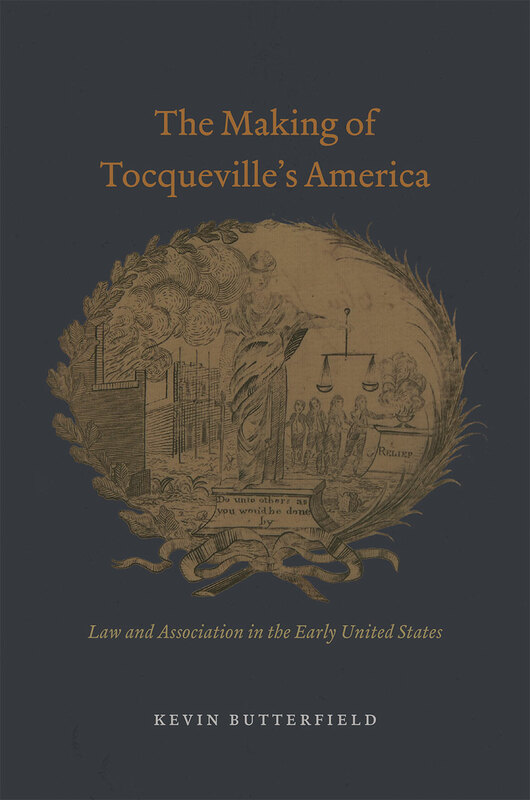 For nearly two centuries, we have sought to understand how and why early nineteenth-century Americans were, in Tocqueville’s words, “forever forming associations.” In The Making of Tocqueville’s America, Kevin Butterfield argues that to understand this, we need to first ask: what did membership really mean to the growing number of affiliated Americans? Butterfield explains that the first generations of American citizens found in the concept of membership—in churches, fraternities, reform societies, labor unions, and private business corporations—a mechanism to balance the tension between collective action and personal autonomy, something they accomplished by emphasizing law and procedural fairness. As this post-Revolutionary procedural culture developed, so too did the legal substructure of American civil society. Tocqueville, then, was wrong to see associations as the training ground for democracy, where people learned to honor one another’s voices and perspectives. Rather, they were the training ground for something no less valuable to the success of the American democratic experiment: increasingly formal and legalistic relations among people.